Medicaid Planning means taking advantage of legal options to help qualify for Medicaid sooner than otherwise possible. Medicaid is generally only available to patients in nursing homes, however, there are quite a few assisted living facility and home care exceptions. Unfortunately, many long term care recipients go to nursing homes on Medicaid when they run out of money, regardless of whether or not they need nursing home care. Medicaid is a federal program administered by the states. It was signed into law in 1964 by President Lyndon B. Johnson the same time Medicare started. Initially, it was designed to take care of the very poor's nursing home bills. Today it is funded by a combination of federal and state funds as an entitlement program, which means, if you qualify, you are entitled to the benefits. Each state has its own interpretation of the federal guidelines. Furthermore, each county has its own interpretation of their state's interpretation of the federal guidelines. Furthermore, each case worker has their own interpretation of the county’s interpretation, etc., etc. The point is, there is a lot of confusion about Medicaid regulations. At SRS Wealth Management, Inc. we make sense of the Medicaid program and will advise you of the regulations and how they might work in your favor. 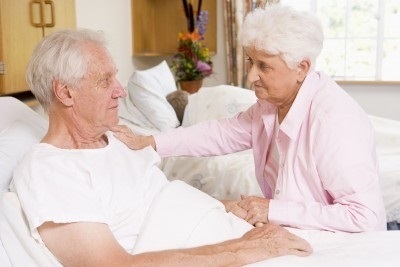 If you have a loved one in a nursing home as a private paying patient, contact us at 740-242-0173. We can help. A high percentage of assisted living facility residents experience an increasing level of care that eventually requires a nursing home type environment. If you have a loved one in an assisted living facility, nursing home, or utilizing home health care at any level, contact us. It is NOT too early to start planning for Medicaid. The sooner you start planning, the more you can save. After all, Nursing Home expenses can exceed $72,000.00 per year with many patients requiring multiple years of care. Call us now, we can help.